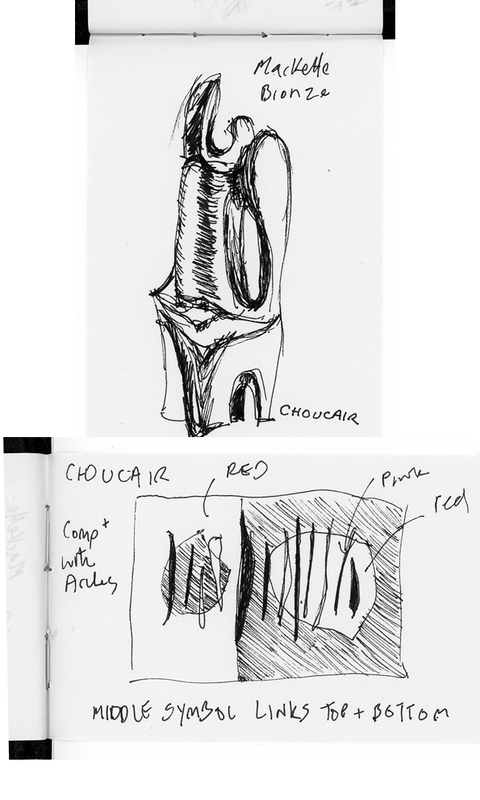 Inspired by the latest small but exquisite exhibition of abstract paintings/sculptures at Tate Modern by Saloua Raouda Choucair, I have set to work on a new series of paintings. Scale and proportion continually surprise me when I see original work post internet research. Choucair’s paintings do vary in size but the A4 size are beautifully composed and framed. You have until 17th November 2013. Well worth a visit. 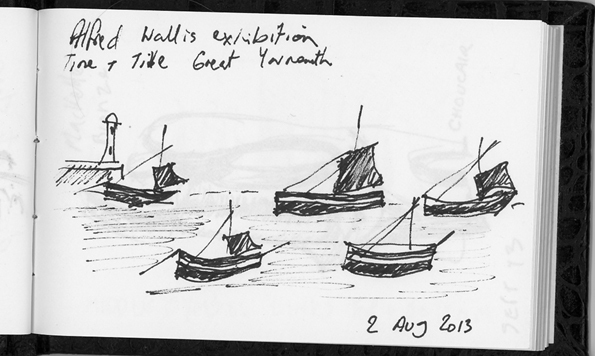 Closer to home was a sublime exhibition of Alfred Wallis paintings at the Time and Tide museum Great Yarmouth. What a gem of a place! 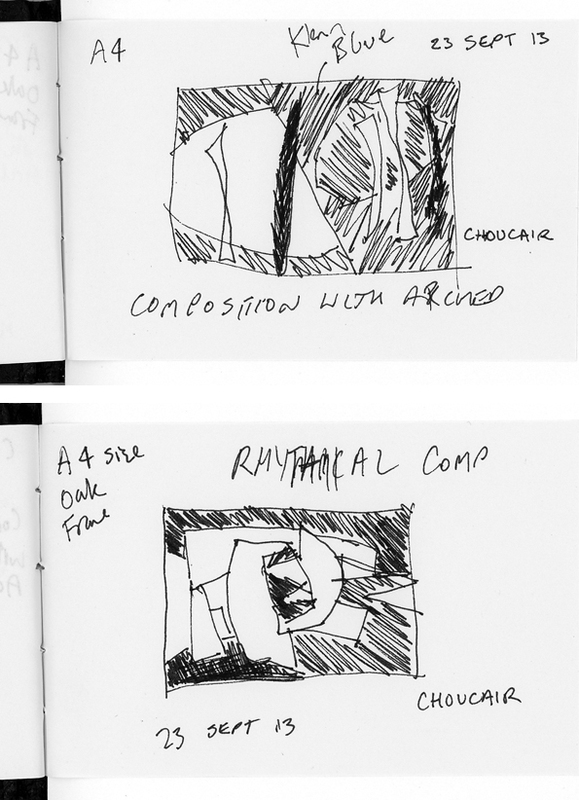 Co-incidently, links to Ben Nicholson occur in both Wallis and Choucair’s lives. 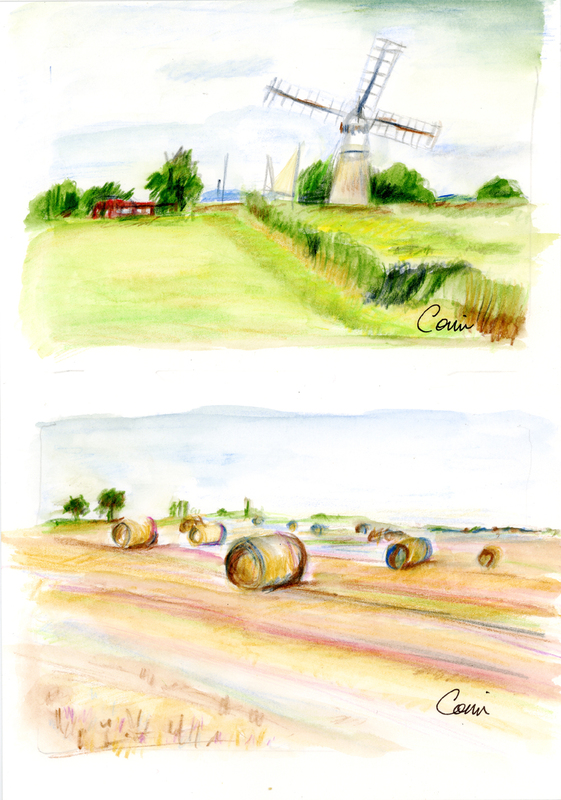 Views over fields at Thurne in late Summer inspired these sketches. A 2 hour walk over Constable country starting from Dedham brought us to Flatford Mills. Despite the lack of ‘original’ paintings in the Gallery, there was an exquisit display of small Constable sketchbooks in pencil, worth taking a moment to pour over them. The fledgling of initial landscape ideas are created.